The Elite Shield™ Disc Golf Bag is a medium sized bag that offers a multitude of unique features that are designed with the disc golfer in mind, including a hard case protective “Shield Pocket” that will keep your valuables safe and dry. 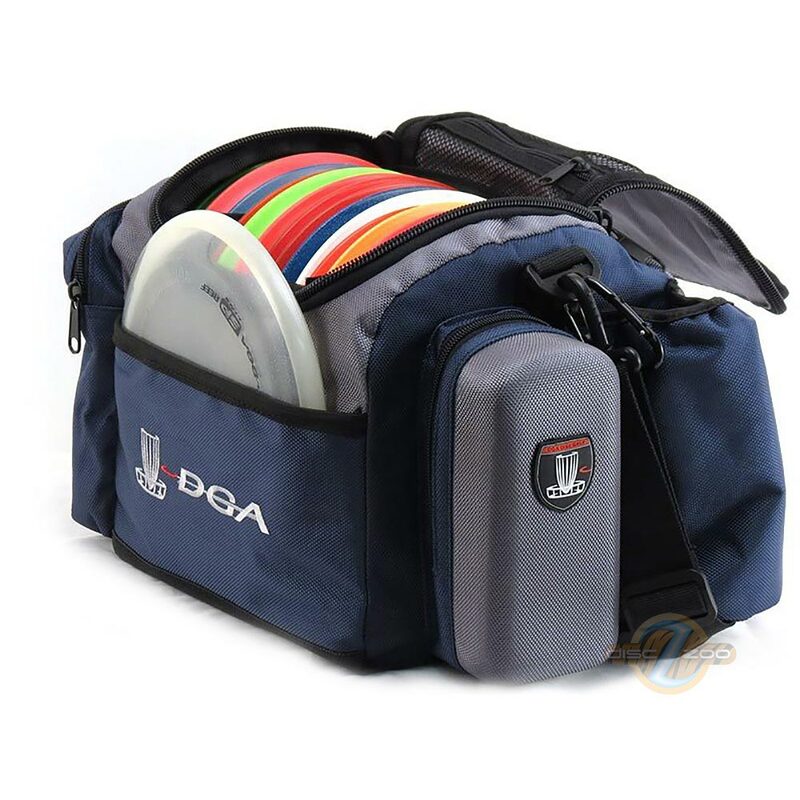 This disc golf bag also features a retractable towel clip for easy access, and so you never have to worry about losing your towel during a round again. The Elite Shield™ Disc Golf Bag comes standard with a Gel-Foam back padding that adds an incredible amount of comfort and support for a player’s lower back. The bottom of the bag is designed with durable water resistant PVC diamond plating and has four small feet to keep it slightly elevated above the ground. The bag comes standard with a shoulder strap, but can be used in conjunction with DGA Gel-Strapz Disc Bag Straps for the highest level of comfort and support! The colors available are Navy or Black.